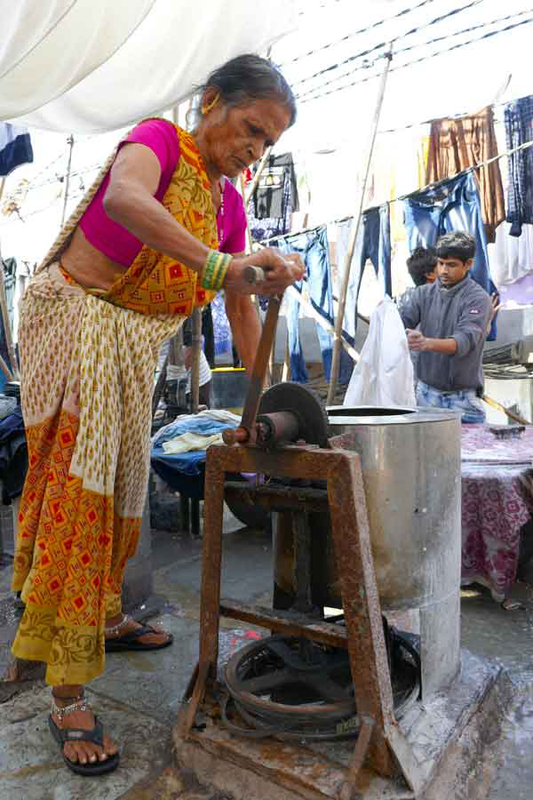 Laundry men and washer women work together at the outdoor laundry at Banganga ghats. 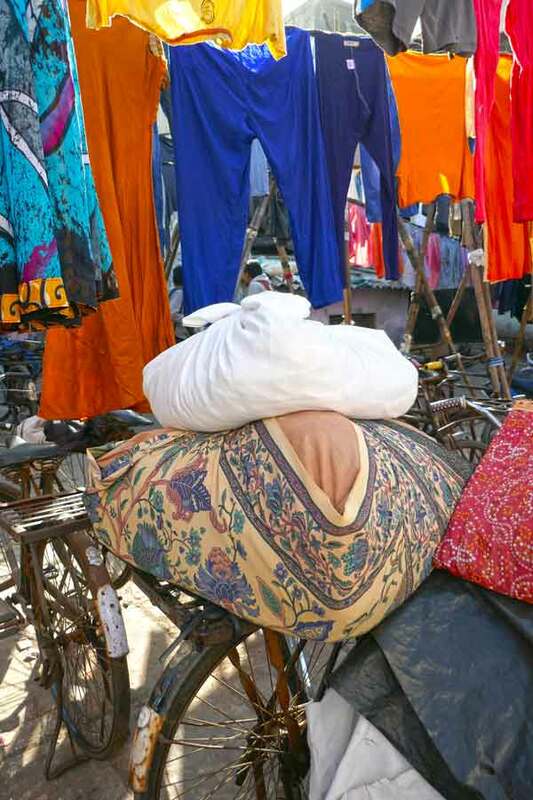 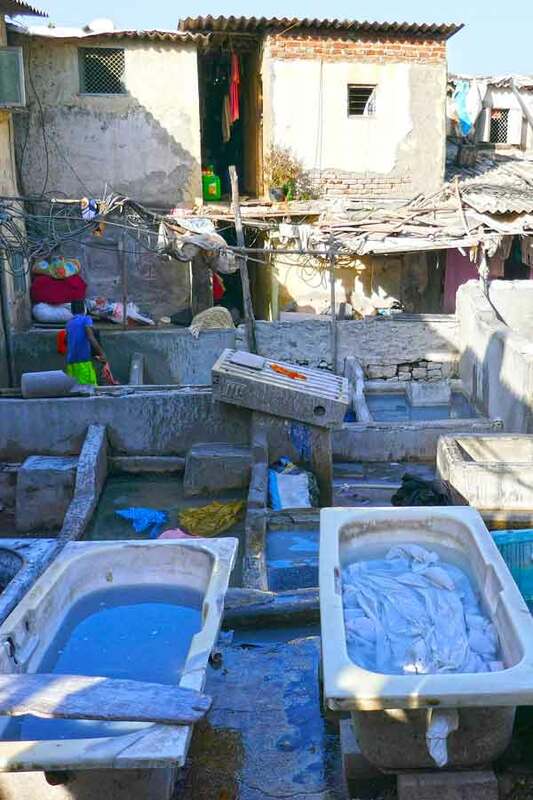 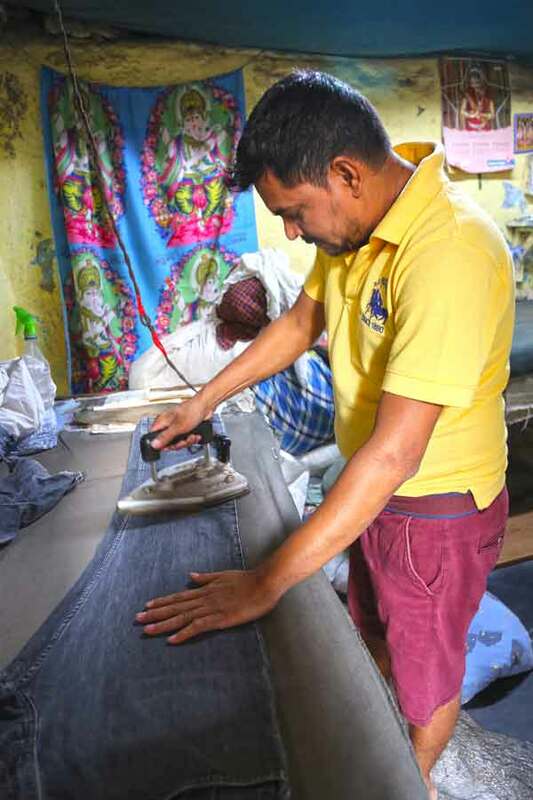 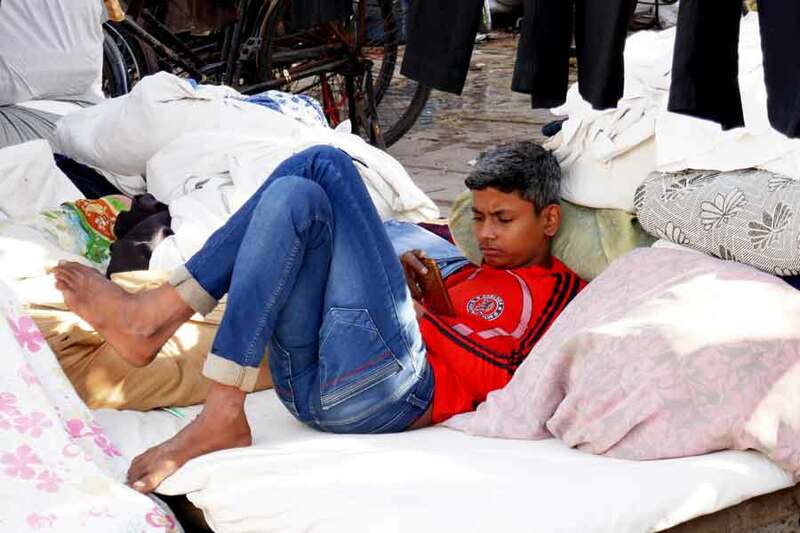 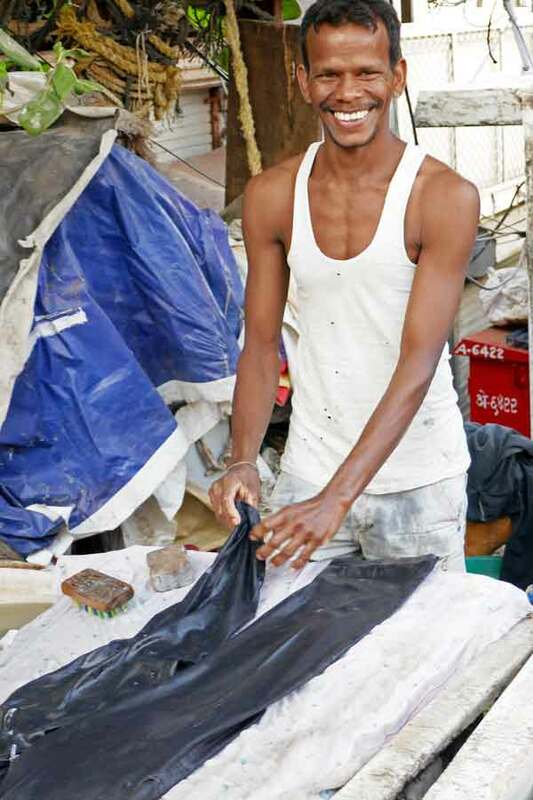 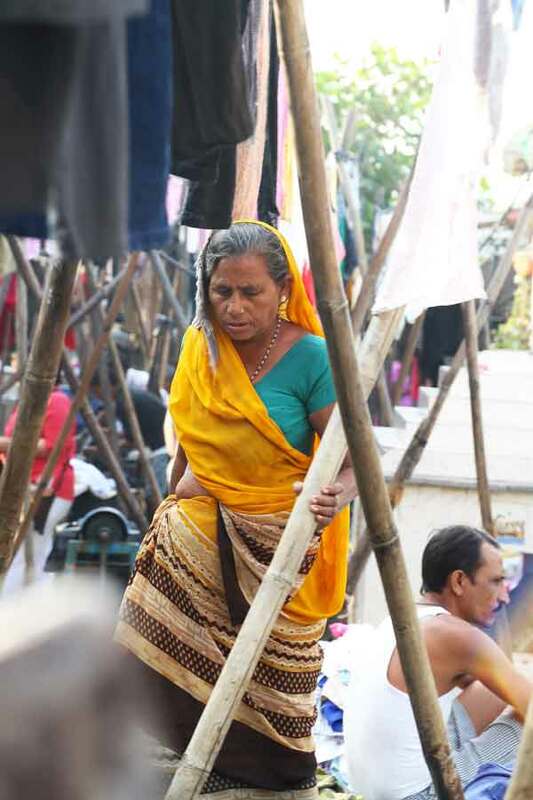 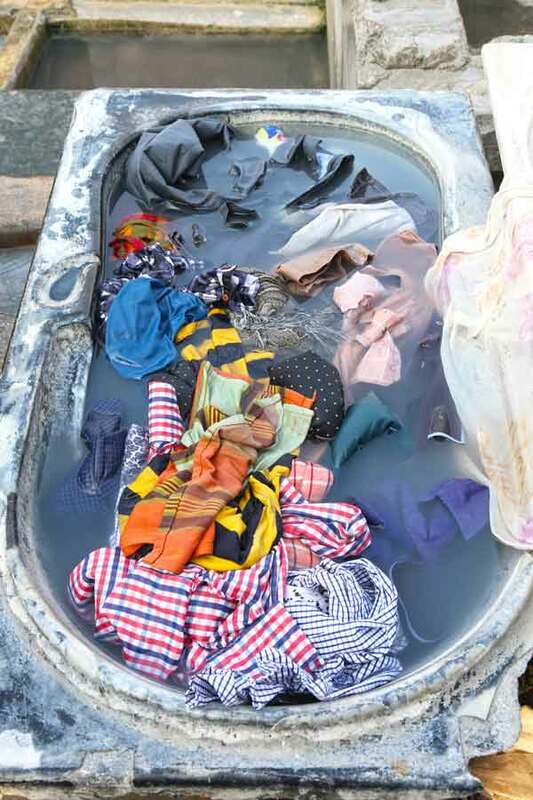 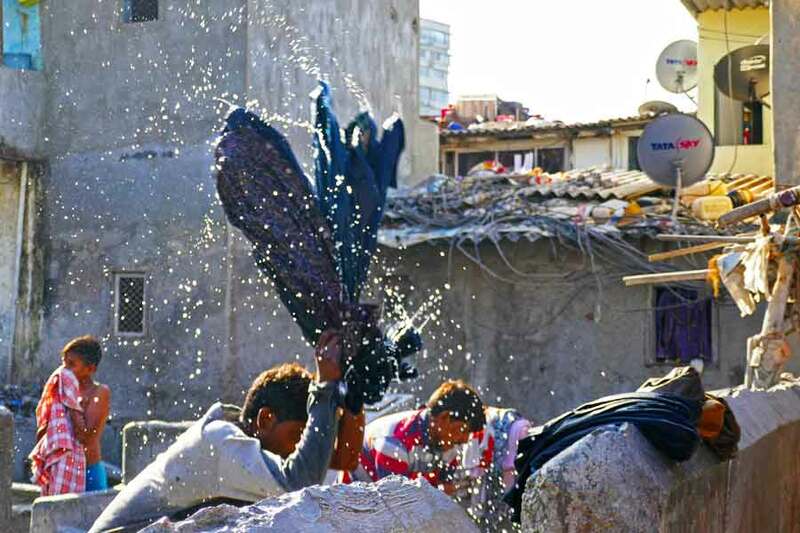 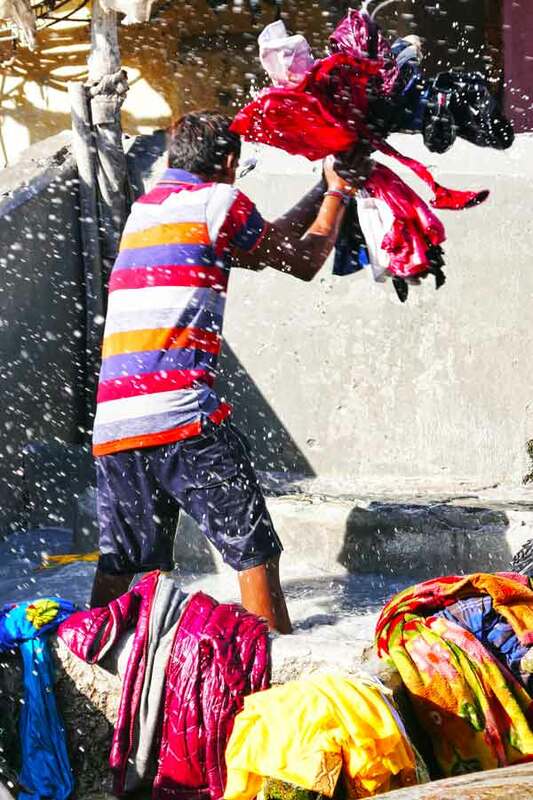 The clothes collected from local households, wrapped in bundles and tied to a bicycle are transported through the narrow streets and alleyways to be soaked in bathtubs then gathered up and pounded by the muscled Dhobi wallah’s. 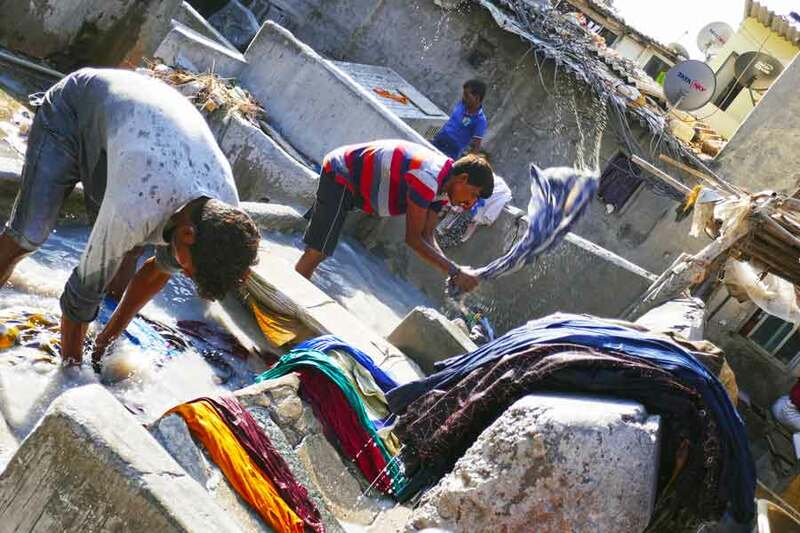 After the vigorous washing regime items are strung along rows of never ending clothes lines to dry in the sunshine. 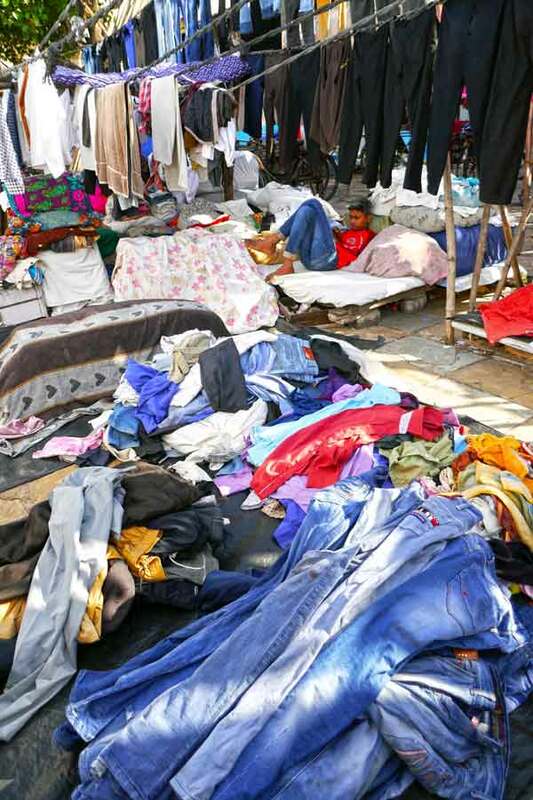 Quite a sight and the most amazing part of it all is that the right clothes are sorted, separated and returned to their owners from the mountainous piles of colourful garments. 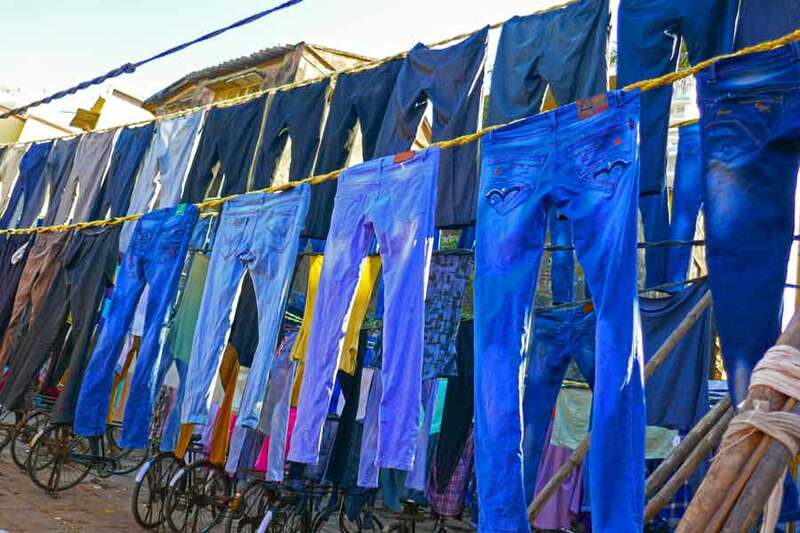 Final step of the wash day production line, all garments get ironed.